|By Arabian Post Staff| Abu Dhabi National Oil Company (ADNOC), Eni and OMV signed two new strategic equity partnerships covering both ADNOC Refining and a new trading joint venture, which will be jointly established by the three partners. In one of the largest ever refinery transactions, Eni and OMV will acquire 20% and 15% shares in ADNOC Refining respectively, with ADNOC owning the remaining 65%. 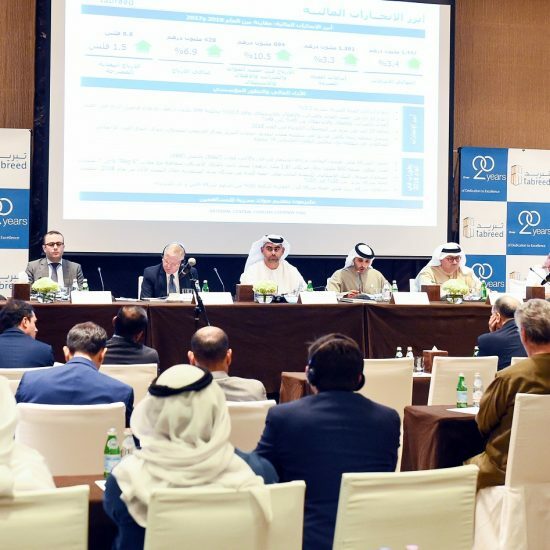 The agreement values ADNOC Refining, which has a total refining capacity of 922,000 barrels per day, and which operates the fourth largest single site refinery in the world, at an enterprise value of $19.3 billion. As a further part and condition of this agreement, the partners will also establish a trading joint venture, in which Eni and OMV will own 20% and 15% of the shares respectively. Proceeds to ADNOC from the sale are estimated to be $5.8 billion, subject to completion adjustments. The transaction reflects the scale, quality and growth potential of ADNOC Refining’s assets, coupled with an advantageous location from which to supply markets in Africa, Asia and Europe. Further value will be created from the new global trading joint venture, which, once established, will be an international exporter of ADNOC Refining’s products, with export volumes equivalent to approximately 70 per cent of throughput. Domestic supply within the UAE will continue to be managed by ADNOC. These important new agreements build on ADNOC’s expanded approach to long-term partnerships and the more proactive management of its portfolio of assets, as well as its track-record of successful partnerships over the last 50 years in both upstream and downstream. The partnerships will support ADNOC as it evolves to become a leading global downstream player, by expanding refining and petrochemical operations at Ruwais and securing greater downstream global market share, as outlined during the company’s Downstream Investment Forum, in May 2018. Under the terms of the agreements, ADNOC, Eni and OMV’s trading joint venture will be incorporated at Abu Dhabi Global Markets. Physical and derivative trading will likely begin as early as 2020 when all necessary processes, procedures and systems are in place. Eni and OMV will provide ADNOC with know-how, operational experience and support to accelerate the development of the trading joint venture, enabling ADNOC and its partners to optimize their systems and better manage their international product flows. Once operational, the trading joint venture will help guide ADNOC Refining’s activity and operational decision-making, ensuring ADNOC secures the best possible value from its refining and trading activity. The stated objective of the trading joint venture is to expand its global presence over time. 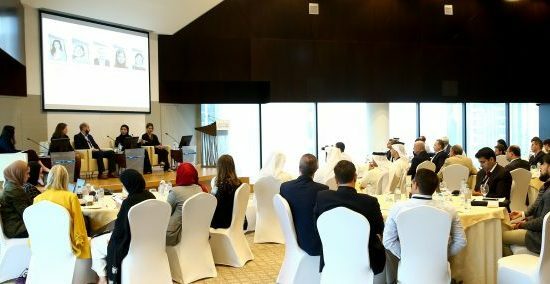 The partnerships, announced today, reinforce the growing importance of ADNOC’s Ruwais complex, located in Abu Dhabi’s Al Dhafra region, in the global refining and petrochemical supply chain and highlight the attractiveness of the UAE as a stable and reliable investment and industrial destination. Further integration across the Ruwais site will be delivered as ADNOC executes its previously-announced investment program, catalyzing the establishment and growth of new secondary and tertiary industries, a significant strategic driver of the country’s economic expansion and diversification. These strategic partnerships with Eni and OMV are another example of ADNOC’s group-wide transformation and value creation strategy in response to an evolving energy landscape. This will ensure ADNOC remains a resilient and flexible company that can take full advantage of market opportunities.